I’m now at 38 weeks of my pregnancy. Already received admission letter from my gynae, my GL is already prepared; my hospital bag is all packed in the car. We’re just waiting for her to give some sort of sign to come out now. My gynae said the ideal time is like from 1st april until 10th april. So we’ll just have to wait and see. In a way I’m quite excited because I’m quite tired feeling like a beach whale everytime lying down. Payah woo..nak switch sides from left to right pun take about 2 to 3 minutes. hahaha.. cam dugong tersadai.. Lagi satu..kesian kat my husband. Seems like all the symptoms I’ve been having, dia pun kena jugak. I hope after the delivery dia pun ok jugak nanti. hehe..
Yee gad. I really felt sorry for those people who do not have the ideal body that has been tagged by Malaysian society . It is hurtful when people say that you are fat or thin or tall or short in a negative way. When I was young, I was a chubby kid. And take note I did have a hard time handling all the cruel and mean comments. That’s why now I try my best not to make hurtful comments to people because I do know what it feels like to be condemned and being put down. I wonder, don’t these people parents teach them manners? Or is it really can’t be helped? Do they just can’t help it to make mean comments about other people physical appearances? Does making these comments will make them feel more superior? So as you know I am 36 weeks pregnant. I AM getting heavier. So you can just imagine all the comments I’ve been receiving from these types of people at work. 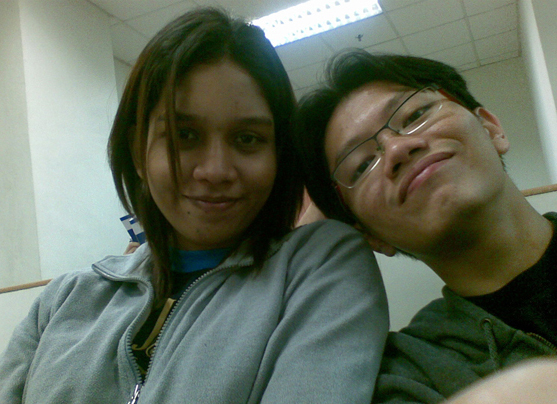 My god, like one of my colleagues said “kalau tak put on weight tu namanya bukan pregnant”. But what is amazing is a lot of the people who made these comment are not the ones with the body of supermodel either. I mean you could always voice out your opinion in a polite way. But nOoo…these people are determine to be brutal to me about my weight and the way I look. What’s worse, I have to be polite and just smile and laugh away their comment considering that most of them are older than me (you have to repect your elders). Ikut hati nak je jawab “aku pregnant mmg la kena put on weight, ko tu tak pregnant pun still lagi besar dari aku”. Kang ada pulak yg bunuh diri kang. 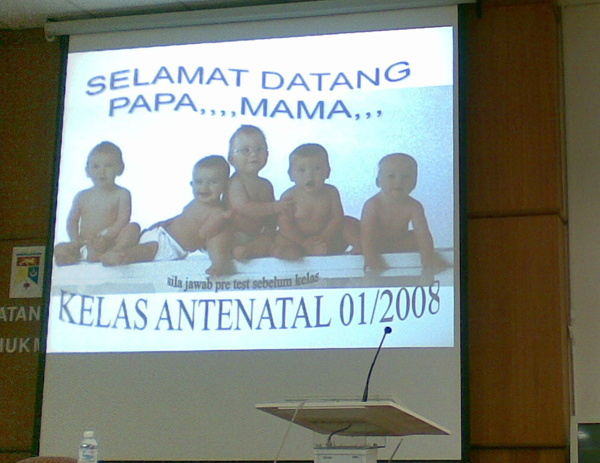 Last saturday we went for antenatal class at HUKM from 9am till 6pm. Very informative. Among the interesting/helpful topic is Pregnancy for Dad, Breastfeeding, Pain relief and they also showed us the exercise we need to do to help ease our labour process. They even showed the dads to be how to message their tired and chubby wifes. hehehe.. 😛 Managed to learn how to bath a newbOrn baby (but with a doll) kalau baby btul nanti tak tau la macammana. hahahaha.. In the evening, the couple who sat in front of us was missing. So I jokingly said to yusnO “entah entah dah beranak kot”. An hour later the speaker announce to us that the woman really was in labOur! masin sungguh mulut saya ni.